Thank you Kat Mayo for sending me a link to this lovely site with a selection of the most splendidly willy-shaped fungi I have seen in a long time. Follow the link and… enjoy! I’m sorry, I’ve drawn on it… I couldn’t help myself. 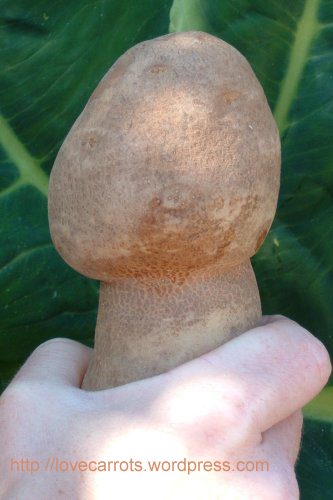 Thank you to Melanie Huntley for this picture of a splendidly willy shaped spud shown below. Combine one willy spud and more alcohol than many people have ever seen and you get… the Money Shot! Where do baby carrots come from, asks Cameron Meikle? He then proceeds to answer his own question with this fine picture of a pair of naughty love carrots striking a pose. “I found these both lurking in the bottom of the same bag!” He says. We can only wonder what they’d been up to. We like the ghostly up-lighting! Like a torch under the chin, only in this case, under the carrots… no less effective. 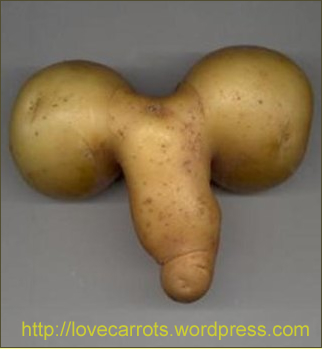 Today we have Lea Alissa to thank for these smashing pictures of spuds which look like willies! Have no fear Lea, they certainly do! Thank you for sending them in! 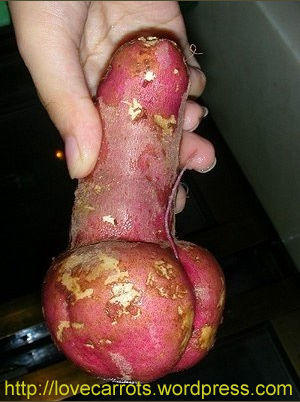 Pervy Potato 1 – or is that a Yam? 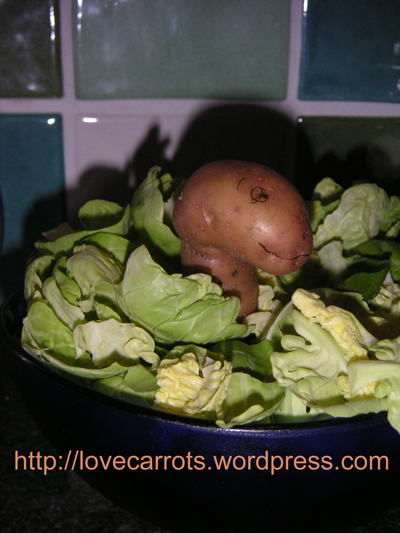 A sporadic photographic journal of weird or humorous vegetables. Sporadic because humorous vegetables don’t crop up that often. No matter. When they do you will find them here. Join in! Send me your Love Carrot pictures! Do you have any pictures of bizarre vegetables? Would you like to see your own strangely-shaped vegetble pictures achieve world wide fame? Send them to me and I'll post them on this site. Please feel free to leave a comment on any post you particularly enjoy. Those of you who do digg or stumbleupon, please feel free to submit any images you particularly enjoy.